The following commentary is an excerpt from Spurgeon’s words on Daniel 4:34-35, which I read this morning. The Lord’s place is on the throne, and our place is to obey; it is his to govern, ours to serve; his to do as he will, and ours, without questioning, to make that will our constant delight. Remember then, that in the universe God is actually reigning; never let us conceive of God as being infinitely great but not exerting his greatness, infinitely able to reign, but as yet a mere spectator to events. It is not so. The Lord reigns even now. Glory be to the omnipresent and invisible Lord of all! Remember then, that in the universe God is actually reigning; never let us conceive of God as being infinitely great but not exerting his greatness, infinitely able to reign, but as yet a mere spectator to events. Does that make us feel better? How can it? By that same logic, we should also tell them, “Don’t expect God to grant any of your prayer petitions—especially those related to protection and safety.” Because if God has nothing to do with suffering, he has nothing to do with anything in our world. He is a “mere spectator,” as Spurgeon says. Of course, the Bible contradicts this idea on every page. Try listening to this recent Unbelievable? episode with “open theist” Greg Boyd, for example, and see if the authority of scripture doesn’t die a death by a thousand cuts. 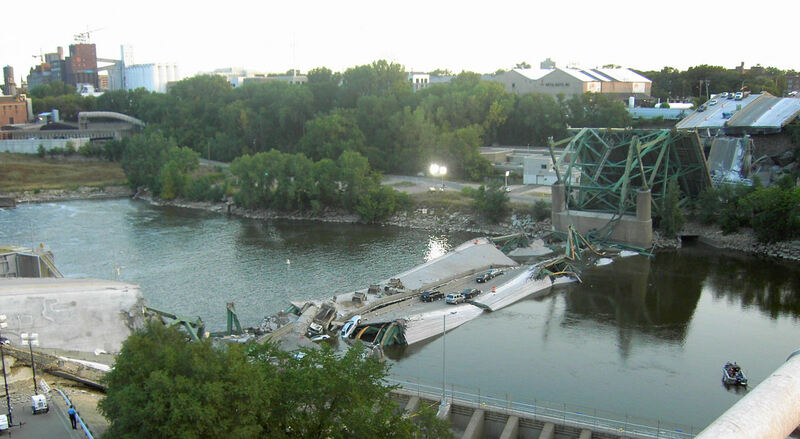 Last week marked the tenth anniversary of the collapse of the Interstate 35W bridge over the Mississippi River in Minneapolis. From what I’ve read, the tragedy represents a failure of engineering (I say as a former engineer myself) and public policy: tax-paying citizens and their representatives in government are unwilling to pay for needed infrastructure repairs and improvements. Until we are, tragedies like the 35W bridge will repeat themselves. The good news for Minnesota is that this particular tragedy motivated the state to repair dozens of bridges that, like the 35W, were in danger of failing. Be that as it may, let me pose a theological question: Despite the many human and bureaucratic misjudgments and sins that went into the 35W’s collapse, could God have intervened somewhere along the way either to prevent the bridge’s collapse, or at least ensure that when it did collapse, no one would be on it (as with the famous Tacoma Narrows)? If the answer is “yes,” then we must be prepared for the next question: Why? Why didn’t he? Nearly everywhere I turn on social media, I’m confronted with one blog post after another telling me that, despite the cliché, everything doesn’t happen for a reason (or at least a reason that can’t be fully explained by science or free will), so we Christians are committing pastoral malpractice if we hint that God might have some deeper reason for allowing human or natural evil—and the suffering left in its wake. To ask why, we’re told, is almost sinfully presumptuous. At one point in my life—as late as 2010—I would have agreed: God is not the author of sin or evil, therefore, when sin or evil happens, God doesn’t cause it. I still believe that. But several years ago I would then take the next (unwarranted) step: If God doesn’t cause it, he must also not have any good reason for allowing it. 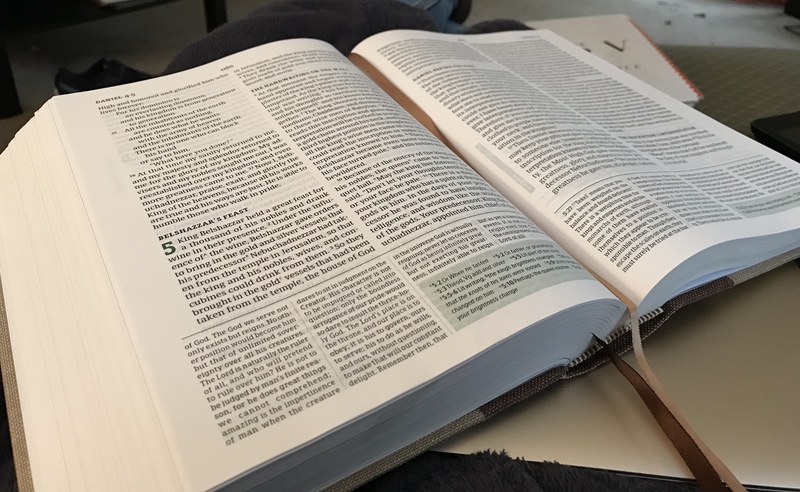 After the climax of the Joseph story in Genesis 50, Joseph tells his brothers, “What you intended for evil, God intended for good.” In other words, God had good reasons for allowing Joseph’s brothers to carry out their evil plans against him, and these reasons were different from Joseph’s brothers. In Job 1-2, God allows Satan to carry out his evil against Job as a test of his faith. Satan believes that Job’s faith will falter in the face of suffering. God will prove otherwise, and teach something to Job and his friends in the process. What Satan intended for evil, God intended for good. The same goes for Paul in 2 Corinthians 12: Paul complains about his “thorn in the flesh,” which is both a “messenger of Satan sent to torment” Paul, and a gift that “was given” (divine passive) by God to keep Paul humble. In each of these cases (and many more throughout the Bible), God has no compunction about using evil to accomplish good—even though God doesn’t cause evil. Besides, we haven’t even dealt with the other part of my clergy colleague’s statement: “because God is in control.” Does he really believe that God is, in any meaningful sense, in control? If so, then how is it “just not true” that suffering isn’t God’s will? So long as he would answer “yes” (which is the clear orthodox Christian, not to mention biblical, answer), then he has contradicted himself. Only recently have some of my Methodist colleagues boarded a lifeboat called “Process Theology,” or its friendlier “evangelical” form, “Open Theism,” to escape the orthodox conviction that nothing happens except through God and by God’s will. Open theism, whose most popular contemporary proponent is Greg Boyd, says that God is time-bound rather than timeless. God’s time-boundedness (from an open-theist perspective) is usually construed as a “decision” on God’s part: God doesn’t want to “determine” the future by knowing it[*]; therefore he limits himself to being a participant in history alongside us creatures. Therefore, God doesn’t know the future. I ask because no one would think up “open theism” without an eye toward theodicy: how can I reconcile God’s goodness with the fact that there’s unjust suffering in the world? 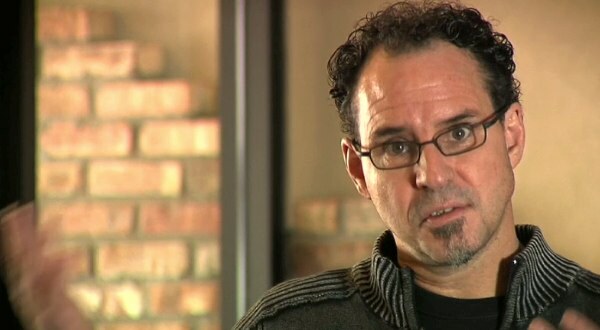 Greg Boyd, for one, is always talking about theodicy. If this theological system can’t do the one thing it was created to do—given how badly it already fails on biblical grounds—why bother with it? That’s enough for now. 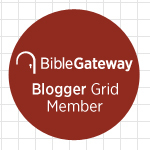 In Part 2, I’ll look at a controversial blog post from 2007, written by John Piper, whose church was located near the bridge, and a critical response from Greg Boyd. * Please don’t misunderstand: I’m not conceding for a moment that God’s foreknowledge of an event determines that event. The content of God’s foreknowledge is based in part on what human beings freely do (with the understanding that human freedom is badly compromised by sin). I like the way William Lane Craig puts it: Future events are logically, though not temporally, prior to God’s knowledge of them. Does spiritual warfare let God off the hook for evil? We’ll see what kind of response my comment gets on this blog post from John Frye on Scot McKnight’s “Jesus Creed” blog. (It’s a Patheos blog with unmoderated comments, however, so I don’t have high hopes.) In a nutshell, Frye argues that we need to emphasize spiritual warfare when we consider evil and suffering in the world. Give some of my own recent blog posts, who am I to disagree? But does Frye’s post, which summarizes the theme of a book by Greg Boyd, solve the problem that he wants to solve? Does an emphasis on spiritual warfare “get God off the hook” for evil? Would we want to live in a universe in which God is off the hook—especially when it comes at the expense of his omnipotence, foreknowledge, or sovereignty? Never mind what it does to our understanding of the Bible as a fully truthful revelation of God. Like the author of this post, I believe that we don’t emphasize spiritual warfare enough. But for me, this post doesn’t solve any problems. Did the man in the prayer circle who was having the terrible-horrible-no-good-very-bad day pray that God would deliver him from it? If so, did God grant his petition? It sounds like God didn’t. In which case we have three options: 1) God didn’t grant the man’s petition because he’s incapable of doing so. 2) God didn’t grant the petition because whether or not God does so is completely arbitrary. 3) God didn’t grant the petition because, after considering it alongside all other petitions and everything else happening in the world, including God’s desire to direct history to a certain goal, God had a good reason for not doing so. It seems to me like the third option is the best one for us Christians. If so, there is a reason God allows some bad thing to happen, even if he doesn’t cause it directly. Indeed, Satan may have caused it. But God created Satan and allows him some measure of freedom to operate. Right? Does God have a good reason to do so? Or are God’s hands tied? My point is, the difference between God’s allowing and God’s causing isn’t nearly so great as many think. Besides, what about, as one example, Paul’s discussion of the “thorn in his flesh” from 1 Corinthians 12? Paul describes the thorn as both a “messenger from Satan” and something that “was given” him (divine passive) by God—in order to benefit Paul in some way. Paul sees that when it comes to evil and suffering, it’s not either/or, but both/and. God is someone who constantly redeems evil. If he could do it with the cross of his Son, he can do it with all lesser forms of evil in our world.